Keith Banks, CTS, CSP, is a well known leader within the staffing and employment industry. Since 2002 Keith has served as President of Lloyd Staffing, which has offices in New York, Florida and a headquarters on Long Island. 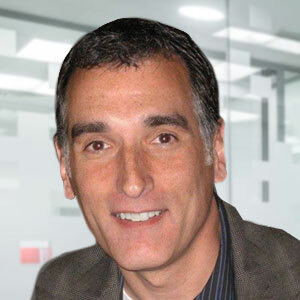 Prior to taking the helm of Lloyd, Keith worked in various departments at the company including Talent Acquisition, Workforce Solutions, Franchise Operations, Contingent Staffing and General Management, and was one of the co-founders of RINGO in 2001. Today he maintains a dual role as president of both Lloyd and RINGO and has overseen the growth and expansion of both. 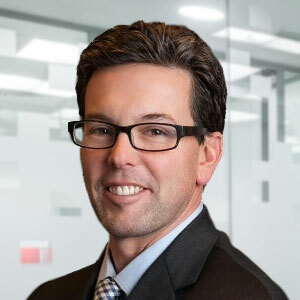 Keith has been actively involved with LLoyd’s participation in the Greater NY Chapter of the Family Business Council and served on the Board of Directors for the New York Association of Temporary and Staffing Services. He has worked on behalf of the Children’s Medical Fund, Ronald McDonald House, the New Leadership Division of North Shore-Long Island Jewish Hospital and the Long Island Chapter of the Crohn’s & Colitis Foundation. Active in the Young Presidents Organization (YPO) since 2000, he served as YPO’s Northeastern Membership Chair. Shani Underwood is an experienced staffing industry and vendor management/managed service professional with a respected employment history. She has worked with both national and regional staffing suppliers and has led multi-million dollar contracts at locations throughout the U.S., Canada and Puerto Rico. Her previous positions enabled her to develop and fine-tune her subject matter expertise in neutral VMS solutions, particularly for high volume client portfolios. She has worked in a diverse set of roles ranging from HR Generalist to Recruiter to Global MSP Development Leader and more. Shani’s understanding of contingent workforce strategy offers Ringo clients exceptional insight to cost control and labor usage. She is able to help establish benchmarking metrics and generate a big picture overview for an organization’s overall talent processes. Shani also directs the experience of working with Ringo which includes business development efforts, relationship development and establishing Ringo partnerships. 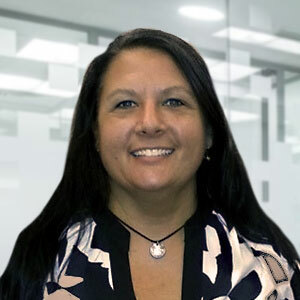 Her strong staffing and human resources background is a true advantage in conveying Ringo’s unique features and reporting and credentialing capabilities as they relate to the rigorous compliance components of talent acquisition within the staffing industry and healthcare marketplace. She is committed to good corporate citizenship and is actively engaged in networking and volunteer work in the Columbus 2020. Shani is a Columbus Chamber Ambassador, CASA Court Approved Volunteer and a Salvation Army Volunteer with Central Ohio Rescue and Restoration Coalition, an organization which provides a collaborative community response to human trafficking through education, services, advocacy, and prosecution. Mark Hallerman joined Ringo after serving as Director of Software Development and Engineering for several leading emerging technology companies. Sites launched under his management have received numerous industry accolades including the Forbes 200 Best Sites on the Internet and a VerticalZoom citation, as well as highly publicized reviews in trade periodicals such as Internet Week. Hallerman has held senior level positions where his key responsibilities encompassed development, integration and management of the developmental process for Web-based procurement applications directed at the B2B and B2C industries. Earlier in his career, Hallerman served as a Senior Software Engineer at The Lotus Development Corporation, one of the world's most prominent software development companies. He built an impressive reputation for developing customizations for the acclaimed Lotus Notes workflow software and delivering solutions for clients on a global basis. Karen oversees RINGO Operations including customer success and support, onboarding, training and platform management while supporting policy and procedural protocols and quality control for all clients. Karen is also directly involved in the on-boarding of new vendors and training and development of authorized staff accessing the technology for our clientele. 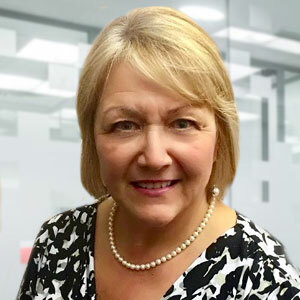 With over 20 years of business experience within the Healthcare staffing and non-profit arenas, she brings a sensitivity and a keen eye to detail centered around the healthcare staffing industry. While working for a privately held staffing firm, Ms. Azzata excelled in her demonstrated commitment to proper staffing practices and compliance within the healthcare industry. This includes her comprehension of JC guidelines, recruitment, evaluation, credentialing, competency and supporting adherence to standards. She is also well versed in the recruitment, testing, placement and operations of per-diem and contract nursing and Locum Tenens. Karen was directly involved in the establishment of an International Nursing Division of a major regional staffing firm. Her expertise ranged from working win international staffing vendors, lawyers and governmental agencies and nurses. She served as an ambassador and liaison in the placement of international nurses acclimating the to their new environment.